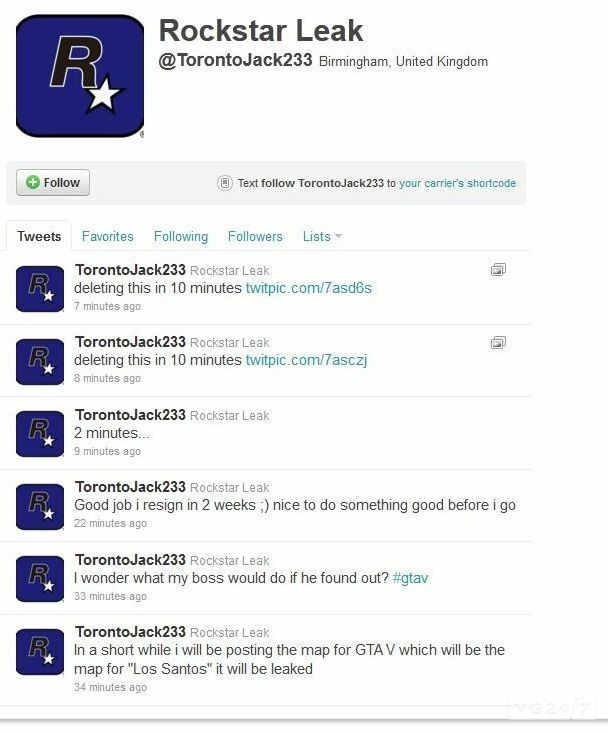 TorontoJack233 claims to be an ex-employee of Rockstar and as a final act of supposed heroism (read: lawsuit aggravating) posted this grainy, ghostly pic of GTA V’s map, which again raises the curious issue of why whistle-blowers on the internet always have awful, non-focusing, cameras? Odd. Either way after the first leak we now have a full, color, good quality picture of the full actual map. The map certainly looks legit and we imagine the Las Palmas area will house the beach you see at the beginning of the trailer (see it again below) and the Onlay Hills will be the mountainous region, which we’re largely linking because a mountain is a large hill. The game world is absolutely massive and will push both Xbox and PS3 to the very limit in terms of what it has accomplished. 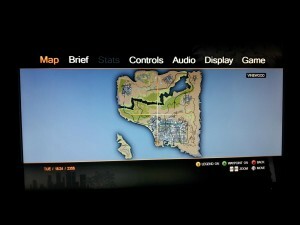 Yes, the main city is simply Los Santos however is it AT LEAST 4 times bigger than Liberty City in GTA 4 and that is just Los Santos. The surrounding country side, beaches, etc are massive. 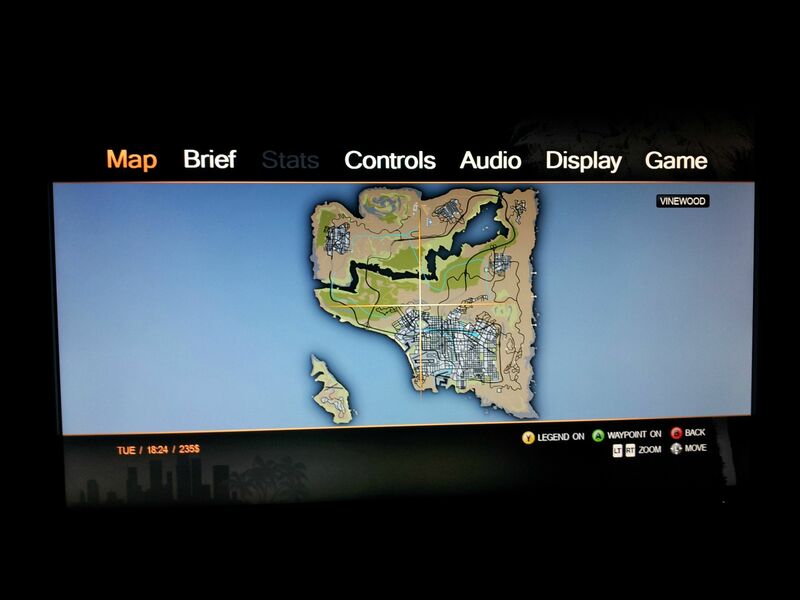 For instance, we saw the main character (an African/American, early 30′s) travel by car from the center of Los Santos into the wildnerness and it took over 15 minutes. The views were incredible from farmhouses with cattle, huge wind farms, an oil refinery which appeared to be living and breathing with nearly 100 NPCs working on machinery, operating vehicles, lifting and loaded, etc, unlike the gas works in GTA 4 which seemed to only house a few NPC at a time. The forests are more beautiful than those in RDR and featured people camping, young NPC drinking and dancing around campfires, people riding dirt bikes and jumping over logs, streams, etc. The water effects, forna, plants, trees all looked beautiful. The shooting mechanics have been greatly improved with animations for diving, climbing, rolling and crawling all added for better realism. The re-loading animations for new ammo also look cooler, less static. There is much more climbable elements in the world such as ladders, overhand climbing, etc. There are animals in the game from dogs to cattle but at this time it is not confirmed if you will be able to harm the animals. Rockstar were able to get away with it in RDR as it was a true depiction of the world in which the game was set. Allowing dogs/cattle to die in a game sent in current times may cause headaches with PETA. Its unclear if Rockstar were joking here. There are planes to pilot and they can be crashed into buildings if you choose to do so…. The city is full of NPCs jogging, weight-lifting, hitting on women, being chased on foot by cops, shopping, washing cars, fixing fences, moving home, filling up their cars, etc. Cars can be upgraded/repaired and it has been considered to have a car have fuel forcing the player to fill her up. The dating aspect of the game is gone. You still have a cell-phone but only people you will meet in the game will call you to ask you to do a mission or to ask you to do something else before the mission. Weapons include the usual arsenal you’d aspect but the flamethrowers, remote mines, laxer trip mines and claymores are included. It is possible now to pick up random objects in a street/buidling to use as a weapon. There is also a museam where it is possible to steal old age swords, axes, etc. It is possible to rupture a fuel line and if you shot at the trail of gasoline it will lead straight back to the car blowing it up. Mini games such as bowling, darts, etc have all gone. You can play basketball, weight train, arm wrestle, gamble and cage fight, enter triatholons, water races, cannoing, ab-saling, rock climbing, base jumping, ski diving. More to be confirmed. Character customisation is back but only in terms of clothing, body weight, etc. The player you start off which, much like CJ, can’t be altered by race, age, height, etc. Rockstar said burglary missions may return but only as part of missions and not on neigbourhood houses. No children NPC at all. Ever. There is now an ability to grab people and use as sheilds or in “hostage” situations. The cops are much, much, much more realistic. If you kill somebody when you know there are no cops around you will not run the risk of a one star as often as you would in GTA4. The cops will use smoke and tear gas, dogs, riot gear and rams to knock down the doors of buildings you are hiding in. You can enter some buildings and lock doors, push objects in the way to barricade. You become better at things as the game progresses. If you only ride motorbikes then you will increase your skills, same as individual weapons. Certain weapons can be customisable and some even home-made. Torrential rain fall and sunshine and even tremors will appear in the game. Next: The censorship craze continues, Billions of signatures, but we need more..